Can you guess the correct answer from the above picture. Latest Malayalam IQ Puzzle 2018. 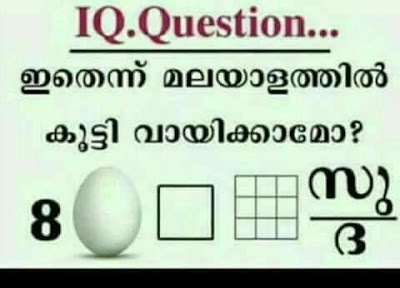 Correct answer is given below. Share it with your friends in WhatsApp, Facebook and Twitter.